Here I am, sitting on what looks like Dr. Strange's set and laughing about it. Way on top of the city. Getting used to being called an author has been really weird. I have dedicated my life to cultivate different aspects of energy. Through art as an Art Director all the way to bodywork as a Zen Shiatsu practitioner. 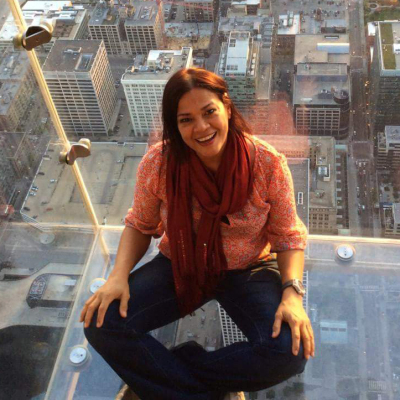 From discovering the mysticism of flavors and doshas as an Ayurvedic Health Counselor to being a fierce inline skater. As a polyglot, where each language has a particular vibration, to Certified Taoist KUNLUN® SYSTEM Apprentice, where ancient inner alchemy practices opened the bridge to the depths of my soul (still digging). Did I mention windsurfing and Capoeira professor?...and Chuan Fa Kung Fu? Oh, medical Biomagnetism is also a new passion. 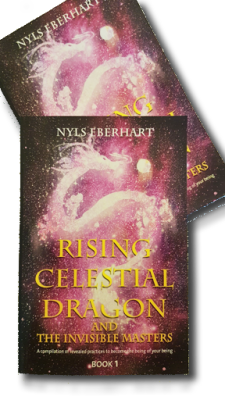 In the Rising Celestial Dragon series, I share some very well kept teachings I never thought I would ever divulge. Book One, the book of practices is out. Book two is on its way. For Book three, I have the title and a sense of the content.